In addition to starting early and seeking righteousness, you must create a safe environment for honest dialogue. Your home is not the academy. Children should not feel the pressure of failure where they sleep. Teaching in the home can and should happen freely and opportunistically. But remember, you only seize opportunity when you are intentional about it, and you should intend to use every situation as an opportunity to teach your children (Deut. 6:7). But your ambition to teach will not be enough if your home is not a safe place to ask questions. This isn’t anything new. Family tension has always existed. Parents have always been annoyed by pestering children’s questions, and so they quickly silence them. There has always been pressure on younger generations to conform to the patterns of the older ones. The difference now is that, through the Internet, the younger generations have access to a wealth of other worldviews and an abundance of places to be heard. Previously, children had nowhere else to go with their questions if their parents put them off. Now, the world and its views are at their fingertips. And somebody on the Internet is always willing to listen—and give an answer. Children’s questions today are more likely to go through search engines than their parents. Social media have greatly changed the way we relate to each other, and their greatest impact has been on the younger generation. Rather than go to a person who might judge you, get angry with you, or laugh at you, children and teenagers let the anonymous, lifeless World Wide Web teach them everything they need to know. Anyone can find a safe haven online where questions are embraced, encouraged, and answered. But this need not be the case. Children, teenagers, and young adults alike would much rather have a person embrace them than their computer. But this will not happen unless you create a safe environment for honest dialogue. This is the starting place. Find reasons to connect with your children. Do not wait for them to come to you. This is an ever-changing task, because what children like to talk about is constantly evolving. But do not give up. Take an interest in what interests them, because it will give you their ear and convince them that they have yours. My father did this with me. I went through a phase where heavy metal was my thing. So my dad listened to Metallica. During a period in my life when my foul music choices could easily cut me off from my parents, my dad made sure that did not happen. He entered my world so that he could hear me and talk to me. Once your children start talking to you because they know you are listening, let them ask their full question. Often the first question is not the real question. It is a question to test the waters and see if it’s okay to ask what’s really on their mind. There is a reason the statement “there’s no such thing as a stupid question” exists. We all have asked questions that we felt dumb about later, and we have learned that sometimes it’s safer not to ask than to look stupid. Questions reveal things about us. They tell others what we think about, including what we think of ourselves—our self-image. For adolescents, especially, the self-image is a fragile thing and something to fiercely protect. Whether they realize it or not, they fight for it. Since asking questions makes them vulnerable, you must embrace questions, controlling your tone and expressions. When you embrace a question, you a affirm the person. If people find their first question well received, they are more likely to ask another, and then another— until they get to the real question. Some people are talkers and some are not. I am the latter. Getting me to talk as a child was a bit like trying to pull my teeth out. But my home was a safe place and I knew it. I always felt there was an ear for my questions. I was never ridiculed for what I asked. The home my parents created gave me the freedom to ask questions. And in the freedom to ask comes the assurance that answers exist. Silencing questions can make someone feel like something is wrong with them for asking such a thing or it can communicate that there is no answer to their question. We must never make a person feel bad because of a question they have. Jesus welcomed questioners and provided them with answers and reasons to believe. We should too. And it should be easy for us to allow questions because we are on the side of truth. We have nothing to hide. Your home can be the front line of defense. It must be. Our children need protection from the enemy’s deceptive ways. Empty philosophy wants to take our children captive. You must always be on the look-out. Begin early, live authentically, and provide safety for your family so that they can find the truth and the freedom that comes with it. 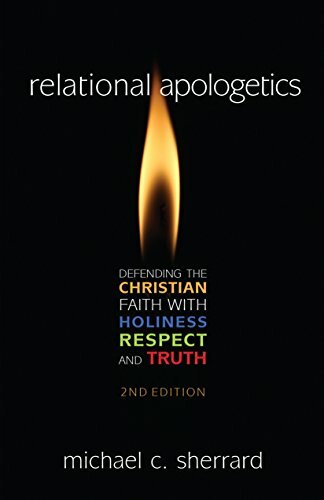 This is an excerpt from chapter fifteen in Relational Apologetics: Defending the Christian Faith With Holiness, Respect and Truth. 1. “One-fifth of the U.S. public—and a third of adults under 30—are religiously unaffiliated today, the highest percentages ever in Pew Research Center polling.” See “‘Nones’ on the Rise,” Pew Research Centers Religion Public Life Project RSS, July 8, 2014, http://www.pewforum.org/2012/10/09/nones-on-the-rise/. 2. The idea that young people are unwilling to speak their minds may strike you as strange. You may think children and teenagers enjoy challenging the previous generation’s beliefs. And you would be partially right. “Rebellion” is a normal part of moral development. It is the pushing of boundaries to see if they are real. It is the way children discover their autonomy and society’s expectations. But youth do not rebel so that they will be considered “bad” by their community. Young people generally fear being an outsider. They fear having the dissenting opinion and not fitting in. And this is what they fear when they question religious beliefs. They fear being labeled as a bad kid, or worse, a kid that is going to hell. And so for a time, they adopt the religious beliefs of their community. And for some of them, the questions go away. But for others, unanswered questions create apathy toward God or even full-fledged rejection of Him.